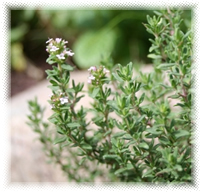 Preparation Methods & Dosage :Thyme leaf is a healthy culinary herb, and makes a pleasant tea. Place sprigs of thyme among clothes or linens to dispel musty odors and deter insect pests. Both the leaves and flowers can be used to stuff sachets. Spicy-herbaceous, sweet, medicinal scent. Use with caution, can be very irritating to skin. The concentrated essential oil is a powerful disinfectant. Blend with sage and use in steam inhalation treatments for bronchitis. Thyme Side Effects: Generally considered safe, excessive amounts can effect menstrual cycles. When isolated from the rest of the plant the thymol is toxic and should be used with great care and in moderation. 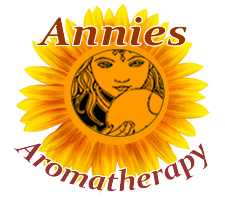 The essential oil should never be applied undiluted and is not suitable for use in animals or small children. T. vulgaris is a perennial with a woody, fibrous root. The stems are numerous, round, hard, branched, and usually from 4 to 8 inches high, when of the largest growth scarcely attaining a foot in height. The leaves are small, only about 1/8 inch long and 1/16 inch broad, narrow and elliptical, greenish-grey in colour, reflexed at the margins, and set in pairs upon very small foot-stalks. The flowers terminate the branches in whorls. The plant has an agreeable aromatic smell and a warm pungent taste. The fragrance of its leaves is due to an essential oil, which gives it its flavouring value for culinary purposes, and is also the source of its medicinal properties. It is in flower from May to August. According to legend, any place where thyme grows wild is a place blessed by the fairies so perhaps you can coax some magical visitors into your garden. 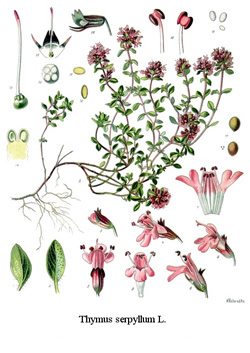 Thyme has been a garden staple, since time out of mind and was a must have for colonial gardens as this herb filled so many needs, John Josselyn noted its profusion in his New England diaries. Thymus is a heavily populated genus with some 350 species most being aromatic, evergreen woody perennials. There is such wide variation between leaf and flower color, and growth habits, some creeping, some upright, that it won't be hard to find a suitable space in the garden. The warm, pungent aroma and taste of the tiny leaves are derived mainly from the essential oil containing thymol and carvacrol, and rosmarinic acid. Thyme was a must have for colonial gardens as this herb filled so many needs, John Josselyn noted its profusion in his New England diaries. According to legend, any place where thyme grows wild is a place blessed by the fairies. The ancient Greeks burned thyme in their temples for consecration and purification, but also as an offering to the gods. It was especially sacred to Adephaghia, the Greek goddess of food and good eating. Modern pagans use thyme as a smudging herb to purify the space used for a magical ritual. Wear sprig of thyme in your hair to make yourself irresistible. A pillow stuffed with thyme dispels nightmares and promotes safe, positive dreams.